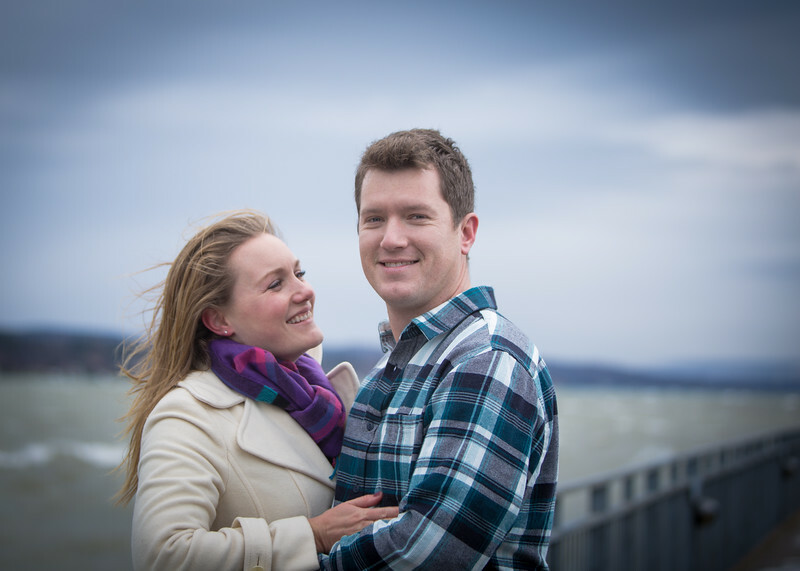 Over the holidays, during a morning of extreme rain, wind and waves, I photographed Denise and Mike’s engagement photos in Skaneateles, NY. Green Mountain for the win! I know Denise from high school, but hadn’t seen her in years, so it was really great to reconnect, and see what she has been up to and how she has been doing. 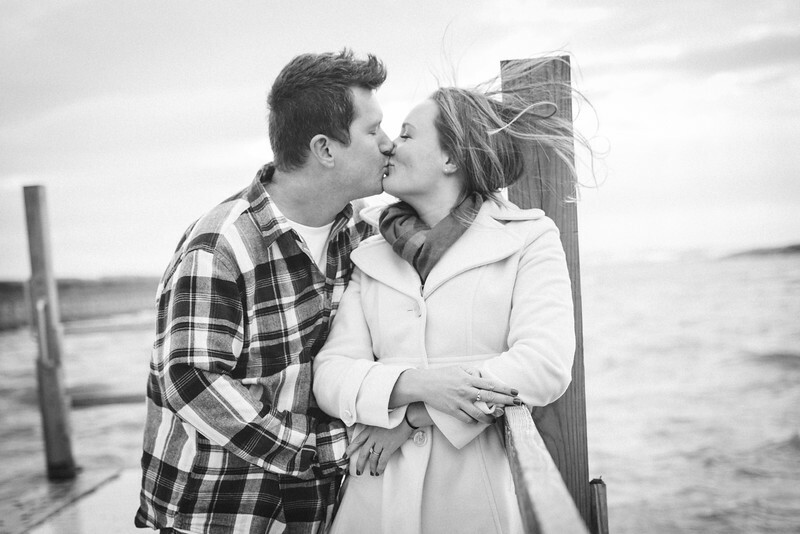 Official Update Report: She is doing awesome, her fiancé is amazing, and they rock. Denise is currently in graduate school to become an Occupational Therapist. Mike, who has his undergrad degree in psychology, is actually an Aircraft Mechanic (also has a private pilot license). Pretty impressive and cool. They met living in Philly through mutual friends. Denise has always been an extremely down to earth, kind and happy (dimple out most of the time:)) person, and Mike is the same way. I really enjoyed getting to meet him and spend some time with them. 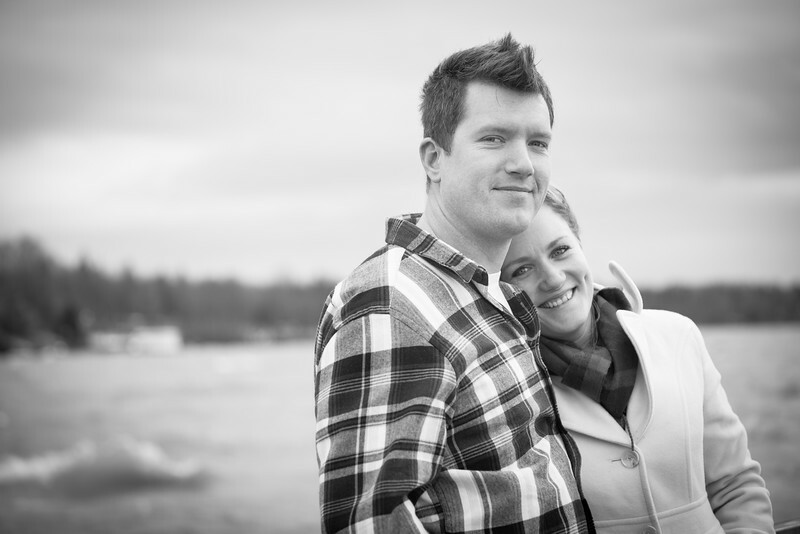 We squeezed in their shoot the day after Christmas, before they were attending another holiday party. The weather was hostile at times, but they did an amazing job and Mike seems to be immune to experiencing cold. I think Denise and I were pretty chilly. 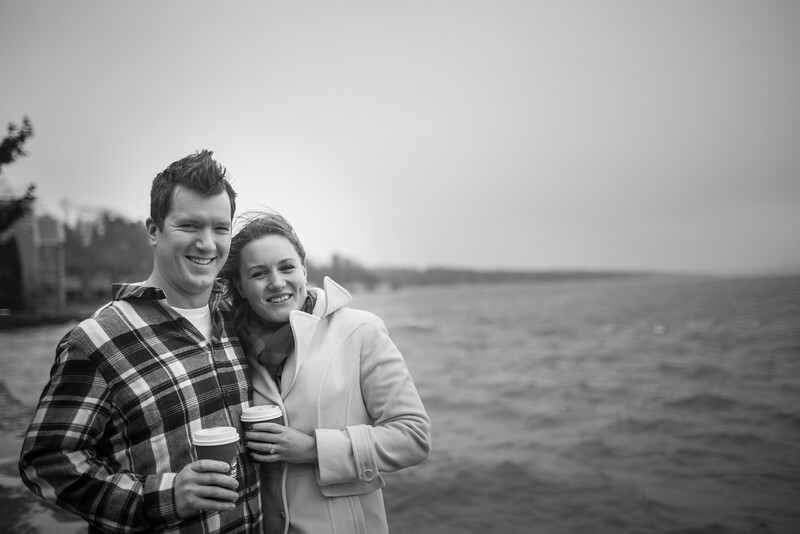 I am so excited to work with them later this year for a Skan Summer Wedding!